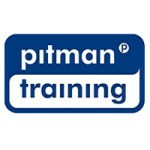 Microsoft Outlook is course run by Pitman Training Centre (Swords), Dublin. It is a 'Blended - Mix of Classroom & Online' course with a duration of Full and/or part-time options available - flexible training. Microsoft Outlook gives a Course Qualification of Certificate, awarded by Pitman. For more information about Microsoft Outlook at Pitman Training Centre (Swords), please review the details below. Condensing a Microsoft Outlook course into around twelve to fourteen hours is the optimum balance of time taken and information given and that’s just how we deliver our Microsoft Outlook training. Once this course is complete, you can advance your knowledge of Office still further with our training for Excel and PowerPoint. If youre wanting to maximise your earning and career potential, then consider also our specialist diplomas theyre highly respected by employers. The Microsoft Outlook course at Pitman Training Centre (Swords) is listed in Courses.ie's national courses finder. Carear Path Outlook is a common business email package so its definitely advantageous to know the ins and outs of this programme. If you're keen to work in an organisational role such as PA/EA for example this will help progress your career as you will be able to effectively help manage the time for the Manager or Director that you support. For information about Pitman Training Centre (Swords), please visit our Colleges page on Courses.ie by clicking here.